One of the many responsibilities of supply chain managers is inventory management. Inventory management involves tracking how much inventory is on the shelves and in the warehouses and replenishing stock to meet consumer demand. If a company has more inventory than demand, then the company has to lower the price to get rid of an inventory surplus. Having to store extra inventory results in increased warehousing costs. On the other hand, not having enough inventory to meet consumer demand results in higher prices, decreased sales and deterioration customer relations. Walmart is currently testing the use of robots to automate inventory tracking. The automatic robots have been deployed in 50 of their stores and roam the isles to detect out-of-stock items, incorrect pricing, and wrong or missing labels (Source A). The retail giant is notorious for cutting overhead costs to keep prices low. Walmart hopes that the robots will be able to track inventory cheaper and more efficiently than human store clerks. When an error is detected, the human store clerk is notified and addresses the problem. It won’t be long before the robot can fix the problem on its own. When it comes to knowing how much inventory to have on hand, machine learning algorithms combined with AI can predict consumer demand. Consumer demand is calculated based on historical trends from past sales data, discounts and promotions, holiday or seasonal changes, and even the weather. Walmart has studied how changes in the climate affect consumer buying habits. For example, when the weather is warm and cloudy, consumers tend to buy more steaks versus hamburger patties. When the weather is warm and sunny, Walmart sells more hamburger patties (Source B). AI tracks and analyses how different external factors affect consumer demand, and it generates models to optimize inventory management. AI can be taken a step further than just generating inventory models; it can even place new orders based on the models. When inventory is getting low, or there is an expected increase in consumer demand, AI can automatically place orders with the suppliers. As a result, labor costs are lower because individual retailers do not need to hire inventory managers to place orders. 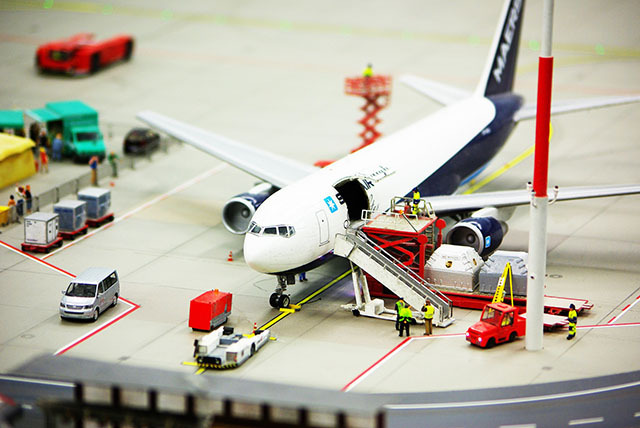 When placing orders, AI does not just consider the amount of goods needs; it also accounts for the shipping time it will take to receive the items. By considering road constructions, weather conditions, and shipping capacities, AI makes sure that the shelves stay stocked. But what happens when a supplier does not have the inventory in stock? When a supplier is unable to fulfill an order, companies typically have a list of secondary suppliers they can contact. However, this is not always the case. Before AI, finding a new supplier could take several weeks. It involved vetting the new supplier, building a relationship, and negotiating prices. AI applied to blockchain technology can instantaneously verify that the supplier provides authentic products and meets the company’s ethical standards. Therefore, a new supplier can be promptly selected, preventing a supply chain disruption. Robots are also helping out in order fulfillment. We have all heard about Amazon testing the use of drones to deliver Amazon Prime Now orders directly to the customer’s front door, but robots are also working behind the scenes to pick the products from the shelves. When an order is placed online, it is assigned to a little orange robot that goes and finds the shelf that the product is stored on. The robot actually brings the entire shelf back to the packaging station, and the human employee takes the item off of the shelf. The shelf is usually designated to a single item. Once the item has been taken from the shelf, the robot returns the shelf to storage. Multiple packaging stations may need to include the same product in their package. In this case, the robot brings the shelf to the next package station before returning the shelf to storage. The robots improve the overall efficiency of the fulfillment center. Human employees do not have to go on a scavenger hunt to find all of the items in an order. Instead, the robots bring the products directly to them. Amazon reported that the robots reduce the time it takes to ship an order by 80% (Source C). The supply chain relies on the fluidity of the manufacturing machines and equipment. When a machine breaks down or malfunctions, manufacturers have to hire specialists to come out and repair it. During the time the machine is down, there is a reduction in the number of products produced. As a result, the company’s overall profit suffers. AI and the Internet of Things (IoT) can help detect equipment failure before it happens. The Internet of Things includes any device or machine that is connected to the internet and can communicate information to improve efficiency. By connecting IoT sensors and the machines themselves, AI can monitor the machine’s performance. When a machine shows signs that maintenance is needed, it can notify the in-house technicians, who are capable of performing routine maintenance. AI is even enabling some machines to perform self-maintenance. The machines identify internal problems, find a solution to the problem, and execute the solution. Another way that AI is interacting with manufacturing equipment is by automating the manufacturing process based on consumer demand. Just as AI in retail predicts consumer demand to manage inventory levels and place orders, AI in manufacturing predicts consumer demand to produce the right amount of goods. It won’t be long before the entire manufacturing process is automated. Ready to Optimize Your Supply Chain Planning? Artificial Intelligence is only as accurate as the information it receives. 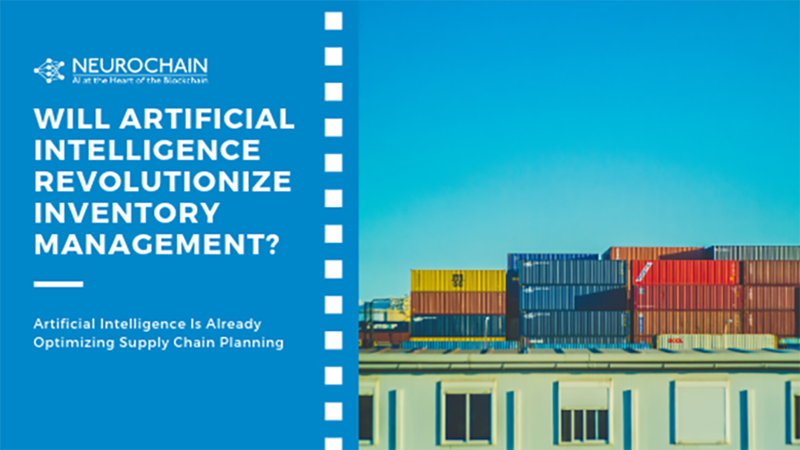 To ensure the integrity of the supply chain, NeuroChain combines Machine Learning and Artificial Intelligence at the heart of the blockchain. Find out how AI and blockchain technology can optimize your supply chain management.